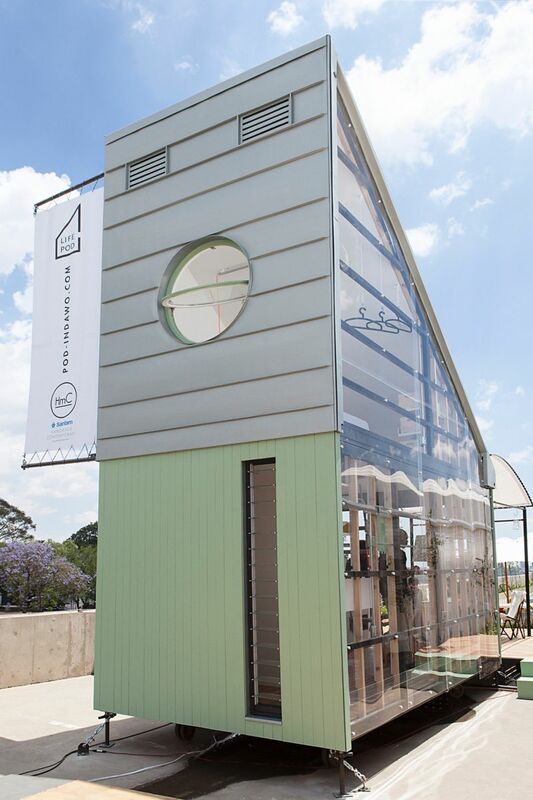 A small house in South Africa is making big waves around the globe. The 183-square-foot INDAWO/ lifePOD is a modular, prefabricated home designed specifically for life in the South African climate. South African architect Clara da Cruz came up with the INDAWO/lifePOD design. The prototype, shown at a design fair held in early November, is gathering buzz. 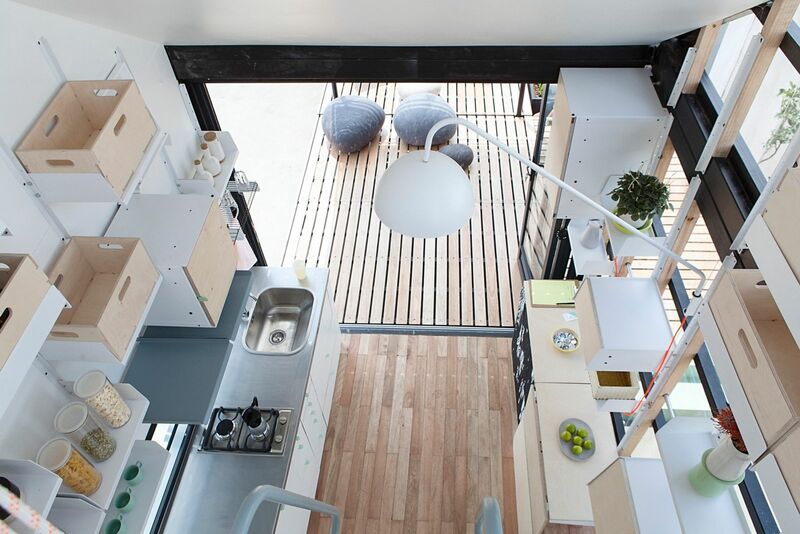 The structure is seen as a solution to space issues and resource preservation for contemporary urban living. The slender home—constructed of steel, aluminum and wood—was designed by architect Clara da Cruz. Collaborate000 architects and product designers Dokter and Misses also contributed to the home’s unique features and finishes. A prototype was launched last month at the SANLAM Handmade Contemporary Food, Wine and Design Fair in Johannesburg. The contemporary concept features daylighting and a mostly white color scheme. The “first iteration of the concept is only scraping the tip of the iceberg when it comes to addressing specific localized needs and applications,” according to the project team. The structure includes a wooden deck, a transparent wall accompanied by innovative storage areas, and fold-down tables and couches. The design features a predominantly white interior color scheme, with splashes of green and gray. The home’s design and size will result in lower energy bills than a conventional home, according to project literature. 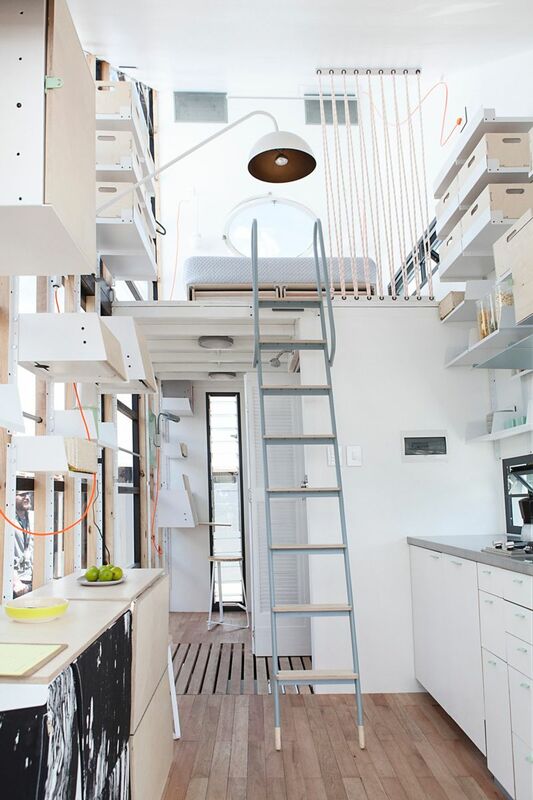 The PODs are customizable and range in price from about $18,000 to $63,400 USD. Several units could also be placed together in various configurations to form multi-use living areas, the project team says. Each unit is customizable to the clients’ specification, so the PODs could cost anywhere between R 200000 and R 700000 ($18,117 to $63,410 USD). Manufactured in Johannesburg, a POD can be delivered and set up to electrical and plumbing services or can be set up for off-the-grid operation.